OMG! Love this in every way. The butterflies are stunning. All the art you have posted is great but this is my favorite. I really like the set up and the lighting. Very well done. Artistcally very good but richter has a strong point here. Hard shadows from the sphere just doesn't work for this composition. 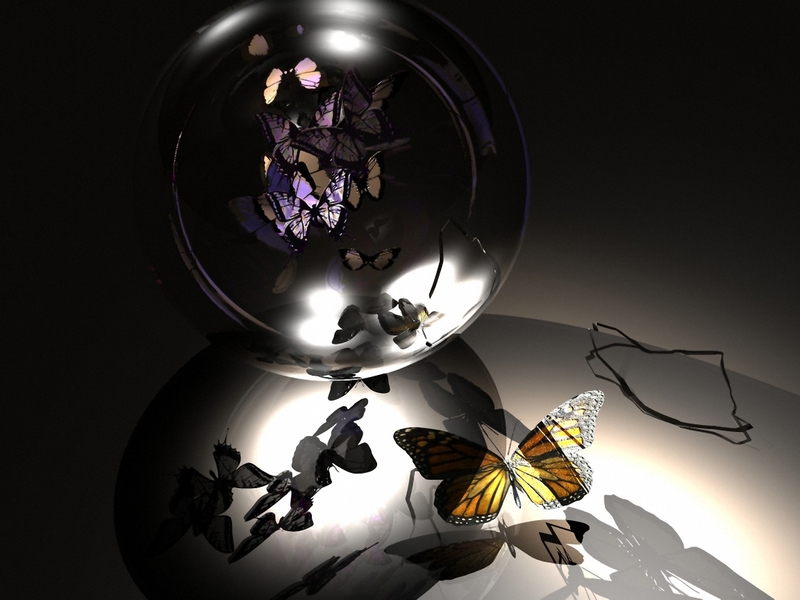 All those hard edges from the butterflies and the sphere ought to be compensated with a blurry form for the shadow of the sphere.